If you would like more information regarding Comflexin™ and/or want to book an appointment to receive a Free 15 minute Consultation, click here to go to our Contact Us page and Request a Callback! 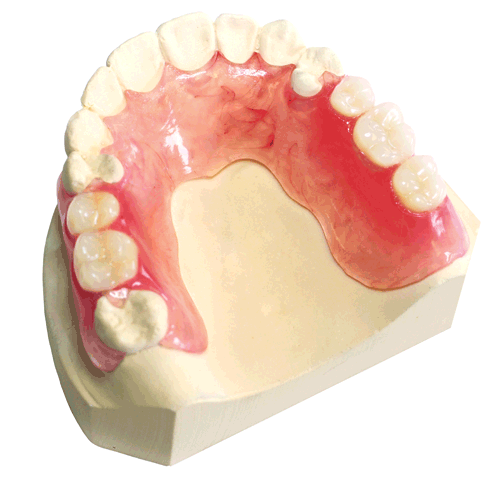 50% Thinner than the average acrylic denture, on average the thickness is only 1mm. Closer fit, which means less chance of the dreaded denture 'fall-out'! The ComFlexin™ material is made from thermoplastic nylon material. Monomer Free - Acrylic monomer is linked to allergies in some people. Unbreakable - the nylon based material will bend and flex without becoming brittle. Secures itself to prevent movement during eating. No need for metal clasps, ComFlexin™ is made to hug the teeth naturally. Transparent pink material blends with your gums to help the ComFlexin™ to hide away. Thinner design, If it feels good and looks good, it gives you the confidence to smile,'look younger' and enjoy life! To find out more info about Comflexin™ please click here to go to our Contact Us page. If you would like US to call YOU, please don't forget to check 'Request a Callback'. Q. How Quickly can I have my partial dentures? Q. Is there other shades available? Q. Will this procedure hurt? Q. How long will my Comflexin™ denture last? A. It all depends on how well you follow the care guide. 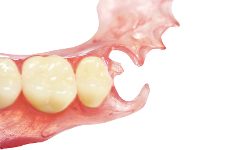 The ComFlexin™ denture material has a 5 year guarantee. Q. How do I keep my dentures? A. When your dentures are not in use they should be soaked in water or denture cleaning solution. They should not be worn at night.